MSM (short for Methylsulfonylmethane), found either in foods or as MSM supplement, is a naturally occurring compound that is a donor of organic sulfur, a non-metal macro mineral essential to life. 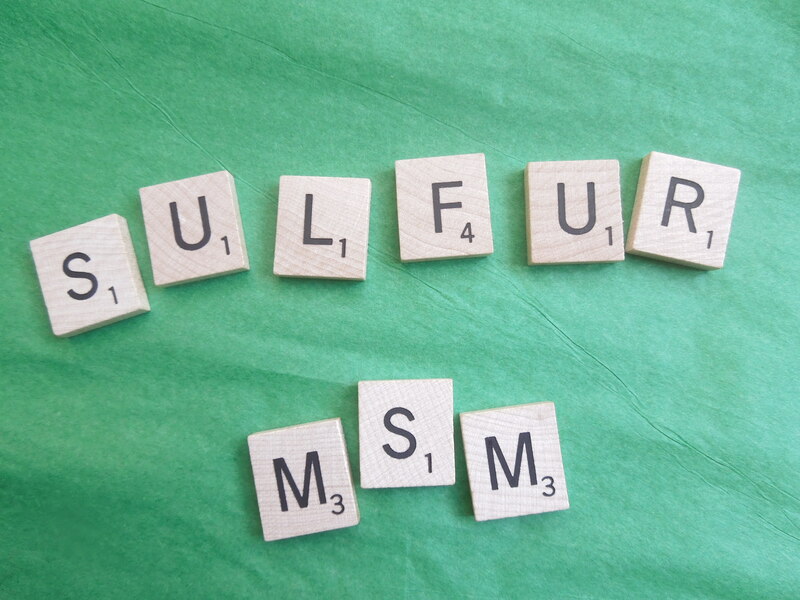 MSM is 34% elemental sulfur by weight making it the richest source of this nutrient. In addition to providing sulfur, MSM also plays an important role in sulfur metabolism in the body, although not all mechanisms of its action are completely understood. Although not as much in the limelight as magnesium or zinc, it is worth noting that lesser known sulfur is the third most abundant mineral in our bodies and the sixth most abundant mineral in breast milk. It makes up approximately 1% of our weight, or 1.5-2 pounds. Sulfur is present in virtually all of our tissues with the highest concentration in the muscles, skin, nails, bones, and hair. Sulfur is found in every cell of every animal and plant on earth. In nature algae, plankton and other simple marine life forms absorb and convert smelly inorganic sulfur into organic forms that are highly volatile and rise into the atmosphere as a substance dimethyl sulfide. This substance is oxidized in the ozone layer by ultraviolet light into dimethyl sulfoxide (DMSO) and its metabolite MSM. These two compounds are readily water soluble. They dissolve in atmospheric moisture and fall back to earth with rain. Plants absorb DMSO and MSM with rainwater, use them to make sulfur containing amino acids methionine and cysteine and incorporate them into their protein structures. In fact, these two amino acids are the major sources of organic sulfur in our diets. The third sulfur amino acid, taurine, is not found in plant foods and can be made in our bodies from cysteine in the liver and from methionine elsewhere. Animals meet their sulfur needs from eating plants high in protein and, in their turn, incorporate cysteine and methionine into their proteins. We get most of the sulfur we need from animal foods with high methionine and cysteine content. Lesser amounts of sulfur, both as sulfur amino acids and MSM, can be found in most vegetables and fruits. Detailed information on sulfur and MSM in foods and the food list itself can be found on our page Sulfur Foods. Since MSM is highly volatile and most of it gets destroyed in the process of cooking, steaming and even dehydrating, it is important to eat vegetables and fruits raw. Some dietary sulfur in the form of sulfates comes also from mineral rich spring water, although most people have very limited access to it. And of course, we all have heard about hot sulfur springs and baths (as well as sea water) that have been used for centuries to treat skin and digestive disorders, to relieve arthritic and rheumatoid pain, decrease inflammation, relieve asthma and relax the body and mind. MSM supplement is a natural source of organic sulfur derived from dimethyl sulfide and is easily assimilated by the body. The results of one animal study suggest that MSM radioactively labeled for tracking “is rapidly absorbed, well distributed, and completely excreted from the body” 120 hours after administration. (Pharmacokinetics and distribution of [35S]methylsulfonylmethane following oral administration to rats. Magnuson BA et al. J Agric Food Chem. 2007 Feb 7;55(3):1033-8). According to Earl Mindell, Ph.D., the author of “The Power of MSM”, “MSM seems to fortify the sulfur-rich methionine and cysteine and can be used with confidence to provide the body with the extra sulfur it needs”. MSM is generally considered safe and non-toxic at recommended doses since the body uses only what it needs and disposes of any excess. However, one animal study that used a 100-fold dose did show organ atrophy in mice which indicates that such unreasonably massive doses must be avoided (see research section below). MSM supplements should not be confused with sulfa drugs derived from sulfanilamide, a sulfur containing chemical, or with sulfites, inorganic forms of sulfur, which are used as food preservatives to help maintain color and prolong shelf life. You will find sulfites (sulfur dioxide, sodium sulfite and other compounds) as an additive to most dried fruits, sun-dried tomatoes, wines, chips and many processed foods, sometimes even those labeled organic. Some people are allergic to sulfa drugs and sulfates, the latter being a special concern for people with asthma as they can trigger an asthma attack. Sulfites also destroy vitamin B1 - a glutathione cofactor being one of its many important functions in the body. That is not the case with MSM which has decades long history of use without toxic effects or reported allergic reactions. People allergic to sulfates usually can take MSM supplement safely, just as they would eat a methionine rich steak or cysteine rich broccoli without any ill effects. WHY IS SULFUR CRUCIAL FOR HEALTH AND GLUTATHIONE? Sulfur plays a vital role in the formation of proteins. Protein chains are held together by peptide (disulfide) bonds provided by sulfur amino acid cysteine. Since our bodies are held together with proteins in all the connective tissues, without sulfur we would literally turn into a blob of cells and spread over the floor. Enzymes, which are proteins too, regulate and enhance most biochemical processes in our bodies and require sulfur (that includes glutathione enzymes). Sulfur is needed to make collagen which is the main constituent of cartilage that keeps our joints working properly. Sulfur is the main constituent of protein keratin that our hair, nails and skin are made of. Sulfur is what gives them their shape, flexibility and strength. By keeping the skin cells pliable and permeable, sulfur helps our skin to serve as a second set of kidneys as many toxins exit the body with sweat. Sulfur is one of the raw materials, alongside amino acids and vitamins, necessary to create healthy new cells with flexible walls. 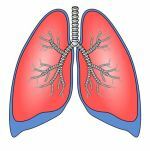 This flexibility allows fluids to flow freely through the tissues in response to changes in atmospheric pressure. This reduces cell inflammation and pain sensations. Sulfur is a component of insulin. A diet rich in sulfur containing foods may enhance the body’s ability to produce insulin and lower the dependency on injections in diabetic patients. Sulfur and MSM promote healthy digestive function by boosting digestive enzyme activity, building healthy lining tissue and promoting bowel activity. Protein is the main structural component of myelin sheaths, the protective layer covering the nerves. Insufficient sulfur may cause demyelination to occur, especially in the presence of elevated oxidative stress or exposure to toxins, that may trigger the onset of neurodegenerative diseases and peripheral neuropathy. Sulfur is a component of vitamins B1 (thiamin), B5 (pantothenic acid that converts to coenzyme A) and B7 (biotin) required for the metabolism of fats, carbohydrates and glucose. Sulfur is required for manufacturing of alpha lipoic acid in the body, an important antioxidant and a glutathione cofactor that has been shown to elevate glutathione levels. And last but not least – sulfur is a critically active component in the reduced (active) form of a glutathione molecule (GSH). Sulfur sulfhydryl group is represented by “SH” in the common abbreviation for glutathione (GSH). It is the sulfur containing amino acid cysteine, the most crucial building block for glutathione, that contributes sulfur to it. At low levels of intake cysteine is preferentially incorporated into proteins rather than glutathione. Thus, the availability of cysteine determines how much glutathione and how fast a cell can produce in response to a threat. Sulfur is also what is responsible for glutathione’s antioxidant and detoxifying powers – free radicals, toxins, heavy metals, etc. “stick” to sulfur to be eliminated from the body. synthesis of S-adenosylmethionine (SAMe) in the body. SAMe is a form of methionine partially converted to cysteine that cells can use in the synthesis of glutathione. Synthetic SAMe is also a pharmaceutical drug that is used in the treatment of liver diseases and in Europe as a mood stabilizing medication. Research done with MSM indicates that this supplement is effective in reversing chemical or drug-induced liver damage, oxidative stress, inflammation and in reversing the resulting drop in glutathione levels. Animal studies with MSM confirmed its efficacy in reducing chemically induced liver and lung damage in mice while improving the levels of glutathione, SOD (superoxide dismutase) and catalase at a very large therapeutic dose of 500 mg/kg/day administered for 5 days. 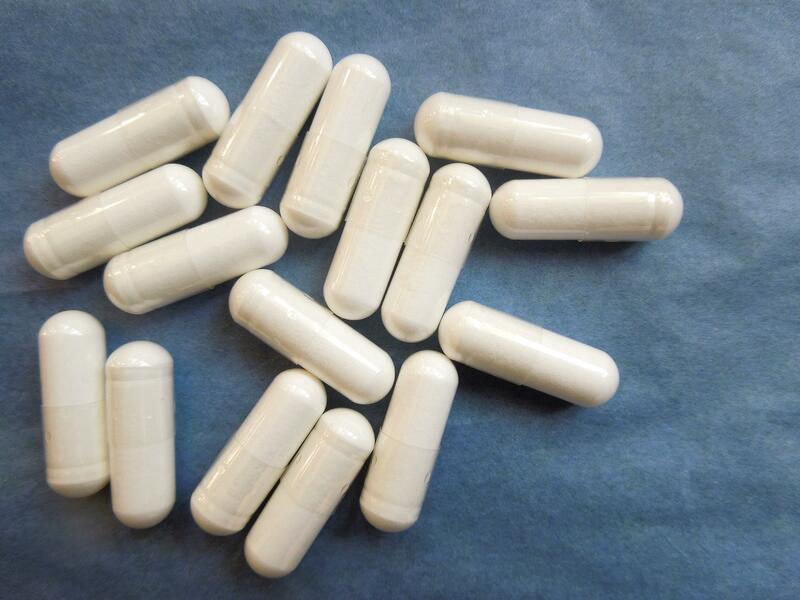 This dose is equivalent to 35,000 mg of MSM a day for an average 70 kg (154 lbs.) person. (Effect of methylsulfonylmethane on paraquat-induced acute lung and liver injury in mice. Amirshahrokhi K, Bohlooli S. Inflammation. 2013 Oct;36(5):1111-21). A study done on twenty-four competing jumping horses registered a considerable drop in key glutathione enzymes (GR, GPx and GST) and in plasma glutathione levels following strenuous exercise that triggered oxidative stress and inflammation. All these parameters returned to almost pre-exercise levels in MSM supplemented group, with MSM+vitamin C group inhibiting the best results. “In our study, supplementation with MSM induced an increase in GSH levels, as could be expected, since MSM metabolism provides one of the precursors needed for GSH synthesis, therefore counteracting GSH depletion.” MSM supplement was used starting 7 days before competition and for 5 weeks until the end of competition. The dose was 8 mg/kg which is equivalent to 560 mg/day in an average human. (The effect of methyl sulphonyl methane supplementation on biomarkers of oxidative stress in sport horses following jumping exercise. Marañón G, Muñoz-Escassi1 B, Manley W et al. Acta Veterinaria Scandinavica 2008, 50:45 doi:10.1186/1751-0147-50-45 ). Another study that investigated the effects of MSM on isolated liver cancer cells and in mice showed that MSM caused apoptosis (death) of cancer cells culture and that liver tumor development was considerably inhibited in MSM treated mice. (Methylsulfonylmethane suppresses hepatic tumor development through activation of apoptosis. Kim JH, Shin HJ, Ha HL et al. World J Hepatol. 2014 Feb 27;6(2):98-106). In an osteoarthritis animal model rats and mice were treated with the MSM supplement at various doses equivalent to a typical human dose of 4,200 mg/day, 10-fold dose of 42,000 mg/day and a massive 100-fold 420,000 mg/day. Mice exhibited “decreased degeneration of the cartilage at the joint surface in the knee joints” in a dose-dependent manner after 13 weeks of supplementation (but not after 4 weeks). However, at the highest 100-fold dose, the weight of the animals’ livers and spleens, as well as their body weight, decreased considerably compared to the control group, indicative of organ atrophy. This result proved that MSM at such an unusually high dose can in fact be damaging, as pretty much anything taken in excess (Assessment of safety and efficacy of methylsulfonylmethane on bone and knee joints in osteoarthritis animal model. Ezaki J, Hashimoto M et al. J Bone Miner Metab. 2013 Jan;31(1):16-25). Although there isn’t enough evidence from human trials with MSM to come to a definite conclusion about the effects of MSM on glutathione levels in humans and more research is needed to confirm the exciting results from animal studies, there is one recent double-blind placebo-controlled study with 18 healthy untrained men that did register improved glutathione status in the presence of damaging oxidative stress following exercise: “The plasma level of GSH and the ratio of GSH/GSSG were significantly higher in the MSM supplemented group… These results suggest that chronic daily oral supplementation of MSM has alleviating effects on known markers of oxidative stress following acute bouts of exercise in healthy young men.” MSM supplement was used for ten days prior to exercise at a dose of 3,500 mg/day. (Effect of chronic supplementation with methylsulfonylmethane on oxidative stress following acute exercise in untrained healthy men. Nakhostin-Roohi B, Barmaki S et al. J Pharm Pharmacol. 2011 Oct;63(10):1290-4). At the same time, another small and not placebo controlled pilot study with 8 trained men showed no significant improvement in glutathione levels after exercise; however, muscle soreness and fatigue decreased, homocysteine levels decreased and blood antioxidant capacity improved after supplementing with 3,000 mg/day for 28 days before and 2 days after exercise. (Influence of methylsulfonylmethane on markers of exercise recovery and performance in healthy men: a pilot study. Kalman DS, Feldman S et al. J Int Soc Sports Nutr. 2012 Sep 27;9(1):46). WHO MAY BENEFIT FROM TAKING MSM SUPPLEMENT? Vegetarians and vegans may be at high risk of sulfur deficiencies because of the lack of sulfur-rich animal foods in their diet and the normal processing of plant foods that destroys MSM, although cysteine and methionine are present in some plants. Those who favor these eating styles may benefit from taking MSM supplement. People who do not consume sufficient amounts of sulfur rich foods and eat mostly processed foods will benefit from taking supplemental MSM. MSM supplement may be beneficial to those on a protein restricted diet, for example due to kidney disease. MSM has been used extensively to relieve arthritic pain, joint pain, back pain, migraines, skin conditions, allergies, autoimmune diseases, digestive issues, and to promote the healing of burns and scars. It may be beneficial for people with these health conditions. Athletes, both professional and amateur, may find MSM supplement helpful in the process of healing sports related joint injuries and for faster recovery. Research also indicates that insufficient intakes of sulfur amino acids during training may promote inflammation. MSM supplement may help maintain glutathione levels by improving alpha lipoic acid levels, by helping decrease inflammation and oxidative stress, by participating in the metabolism of cysteine and methionine, and by contributing the continuous supply of sulfur for many vital processes in the body. This supplement may be useful to those interested in optimizing their glutathione levels. Typical maintenance dose of supplemental MSM is 1,000-3,000 mg a day. People who would like to address a specific health condition often take more than that. Daily therapeutic doses are 3,000-8,000 mg in divided doses, some people taking up to 15,000 mg.
MSM supplements come in capsules and in powder form, the latter being more cost-efficient for larger doses. The effectiveness of a dose depends on the severity of a condition and the length of time the MSM supplement is taken. It may take up to 2 months of daily use to notice any health benefits. Vitamin C, an important glutathione cofactor, has been shown to work synergistically with the MSM supplement and enhance its action. As always, discuss all supplements with your treating physician before making any changes to your nutritional regimen. 1. "The Power of MSM" by Dr. Earl Mindell. 2. Stephen Parcell, ND, Review "Sulfur in Human Nutrition and Applications in Medicine". (Altern Med Rev 2002;7(1):22-44). 3. "Glutathione. Your body's most powerful protector" by Dr. Jimmy Gutman. 4. Dr. Mercola, Article "MSM Health Benefits May Be Related to Its Sulfur Content". 5. Abstracts of research presented in the text.